As a self respectin’ southern, I have to say that this is one of my favorite side dishes ever. Greens of any kind grow well into the winter months because of their tolerence to the cold weather. I always remember after the garden was completely harvested my granny would retill the garden spot and just throw mustard green seeds and collard green seeds. They would come up and cover then entire garden area every time. I like both, but collards are my very favorite. 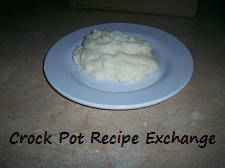 They cook up very tender when slowly cooked so the crock pot is the perfect way to go. Put all ingredients into a 6 quart crock pot. Cook on low for 8 – 10 hours. The collard greens are going to cook down quite a bit. 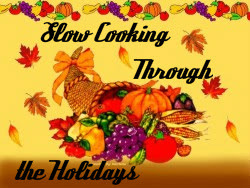 The turkey wing meat will give them a phenomenal flavor. When serving make sure to offer a pepper sauce or apple cider vinegar as a condiment (It also doesn’t hurt to have cornbread or a good sturdy roll to sop up the juices). 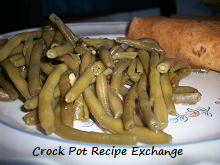 This recipe shared at Potluck Sunday.